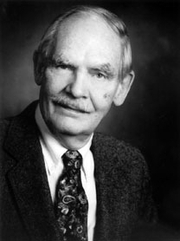 The SF writer Frederik Pohl is not Frederick J. Pohl, who died in 1991 and wrote controversial books on exploration. Join us for a reading group discussion of Gateway by Frederik Pohl!When prospector Bob Broadhead went out to Gateway on the Heechee spacecraft, he decided he would know which was the right mission to make him his fortune. Three missions later, now famous and permanently rich, Robinette Broadhead has to face what happened to him and what he is...in a journey into himself as perilous and even more horrifying than the nightmare trip through the interstellar void that he drove himself to take. Frederik Pohl is currently considered a "single author." If one or more works are by a distinct, homonymous authors, go ahead and split the author. Frederik Pohl is composed of 42 names. You can examine and separate out names.